Gallatin Johnston "Kid" Scott, born August 18th, 1869 in Arkadelphia, AR1, was a left-handed professional baseball pitcher from 1888-1889. Scott was the son of Thomas Jefferson Scott and Florence Montoria. He was born in Arkadelphia, AR, but by 1880 was living in Hot Springs, AR2. 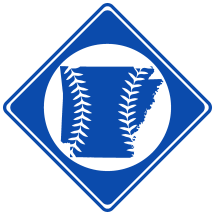 In 1888, at age 18, Scott debuted in minor league baseball, and as a result became one of the first known Arkansas natives to play professional baseball outside the state. It appears Scott's baseball career began with with San Antonio and then Dallas in the 1888 Texas League. When the league reorganized in mid-season as the Texas-Southern League, Scott joined the New Orleans Pelicans3. A season later, he had brief appearances with the Austin and Waco teams in Texas League.